Book your transfer with Atlanta Superior Shuttle on our Airport Shuttle Bus service today! At Atlanta Superior Shuttle our Airport Shuttle Bus service is available for transfers between Atlanta Airport, and 66 locations across United States. The Airport Shuttle Bus service aboard Atlanta Superior Shuttle is an affordable on-demand door-to-door shuttle service. Your vehicle will be shared with others and will make stops for passengers travelling nearby. Your pick-up and travel time is flexible and will be adjusted to suit all passengers travelling together while making sure everyone gets to their destination on time. Our Airport Shuttle Bus service is available 24 hours a day 7 days a week and can be booked up to 24 hours ahead of travel. 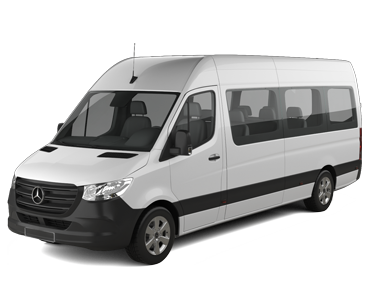 At Atlanta Superior Shuttle we offer fixed transfer fares starting from $40.00 USD total one-way and with enough seat capacity for up to 5 passengers. Your final fare with us includes luggage allowance for 1 carry-on bag and 1 check-in bag per passenger. Also included in all our fares are airport parking fees, any tolls along the route and your drivers waiting time. Atlanta Superior Shuttle is a transport company based in United States and we have been a professional transport supplier on Jayride since November 2015. We provide reliable, timely and safe transportation services through proactive leadership, expertise, resources and information to continually improve the quality of airport ground transportation services. Everything went so well. I can only highly recommend the service at a reasonable price too! My driver was prompt and very courteous. Two of the best attributes a driver can have when transporting individuals. The driver Amir was very very kind. He helped me get to the right airport and waited for me to check if it was the right one when we got there. Tell him well done. I will recomend to my friend warm heartedly to choose you. Excellent service, highly recommend the ride to Gainesville. Was very strange to make a reservation on line with JayRide. Never got a confirmation email. Called and made a reservation on the phone. Then was picked up by a shuttle that was labeled something else besides JayRide. The driver didn't know anything about 'JayRide". The trip was fine. The conversation with the driver was really enjoyable. Just a few weirdnesses.